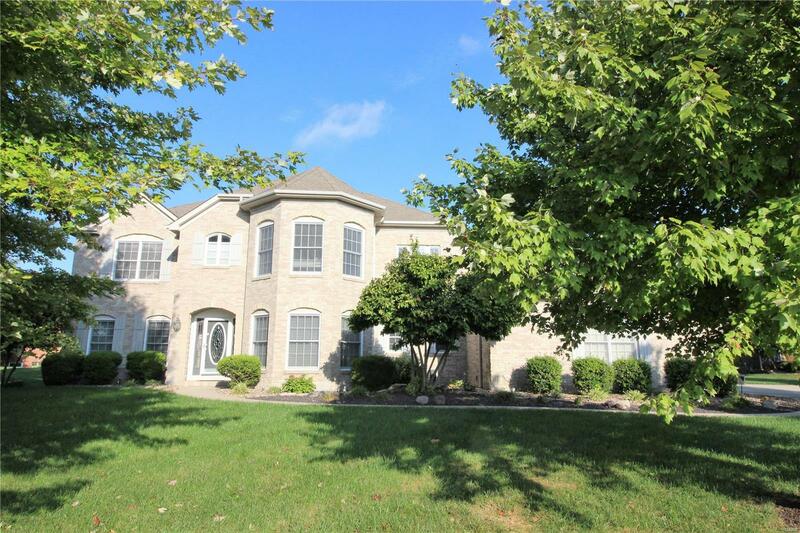 GORGEOUS White Brick & Gray Shuttered 4 Bedroom, 5 Bath, 2-Story in Chateaux at Woodfield neighborhood at Great Price! Upgraded new wide plank Bamboo hardwood on main & tastefully painted interior throughout. Upon entry, Spacious Formal Dining Room w/ coffered ceiling, crown molding & wainscoating. Study w/ double glass doors. Through Foyer to Vestibule w/ dramatic views of upper living. Wonderful Great Room w/ Gas Fireplace & Built-In Shelving. Open Concept Kitchen & Breakfast Area w/ Granite Counters, Island, Tiled Backsplash leading to Vaulted Family Room. Added Sunroom leading to Paver Patio & partially fenced backyard. Laundry room & Half bath on Main. Upper Level includes Master Bedroom Suite w/ coffered ceiling, Luxurious Master Bath w/ dual vanities, whirlpool tub & stand up shower & very large walk-in closet. 2 Bedrooms w/ JNJ Bath & Additional Bedroom w/ own Full Bath. Unfinished Basement w/ much storage & 3/4 Bath. Zoned HVAC, Security & Irrigation Systems & 3 Car Garage!